Over 1400 people in the South East have now completed the NHS Diabetes Prevention Programme and have achieved a combined weight loss of over 5500 kg. Nationally more than 17,000 people have now completed the NHS Diabetes Prevention Programme and have achieved a combined weight loss of over 50,000 kg, equivalent to the weight of four double decker buses. The NHS Long Term Plan announced that the programme, which sees people at risk of developing Type 2 diabetes given help to lose weight and lead healthier lifestyles, will double in size over the next few years to treat around 200,000 people a year. From July this year online versions of the programme, which involve wearable technologies and apps to help those at risk of Type 2 Diabetes, will be provided for patients who find it difficult to attend sessions because of work or family commitments. 52,783 people in the South East have already been referred into the programme with 18,751 progressing to an initial assessment and 1469 going on to complete the programme. The NHS Diabetes Prevention Programme is delivered in the South East by Ingeus, in conjunction with local NHS partners and renowned diabetes experts Leicester Diabetes Centre. Brighton-based Beryl Langley took part in the programme and now the grandmother of four is out of the danger zone and in better health than ever. 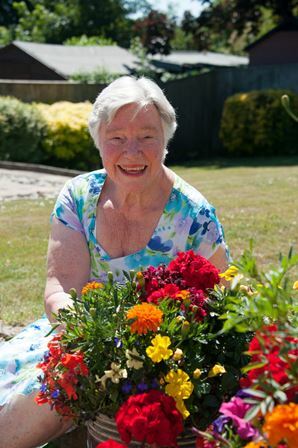 Having lived through the Second World War, 84-year-old Beryl embraced a full and active life until a motor accident slowed her down. Over time, after putting on weight and not feeling her best she made an appointment with her GP. When her blood results showed she was at high risk of developing diabetes, she was invited to join her local Healthier You: NHS Diabetes Prevention Programme (NDPP) in Hove. Beryl’s daughters Chris and Sue accompanied her to provide support and take notes. The 10-month course looks at the causes of Type 2 diabetes, encouraging participants to achieve a healthy weight, be physically active and eat a balanced diet. All three women implemented what they learned. Beryl lost over a stone and her blood sugar levels returned to safe levels. “I learned about how choosing the right foods can make a difference. For instance, I didn’t think I’d like brown bread and had avoided it, but now that I’ve made the swap, I don’t touch white bread! Beryl has increased the pace again and is back to her active social life, which includes speaking at Westdene Primary School about her childhood experiences during the war. 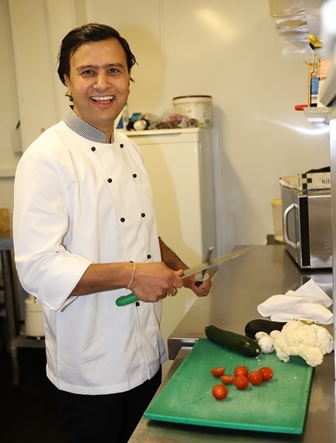 Chef Kuldeep Raj was one of the people who took part in the NHS diabetes prevention programme. Now the Bexhill-on-Sea resident is out of the danger zone and in better health than ever. With a new-born daughter and two businesses to run, Kuldeep rarely stopped but when he started to feel unwell, he went to his GP to get a health check. A blood test revealed he had a high risk of getting Type 2 diabetes so he was referred to his local NHS Diabetes Prevention programme. After just three months he had lost 13kg and his blood sugar levels had returned to safe levels. Kuldeep’s concerns were well-founded as the risk of getting Type 2 diabetes increases two to six times if you have a parent with diabetes. Kuldeep is so determined he closes his restaurant so he can attend the programme which meets in Bexhill-on-Sea and looks at the causes of Type 2 diabetes, encouraging participants to achieve a healthy weight, be physically active and eat a balanced diet. The NHS in England deals with over 1 million patients every 24 hours and employs more than 1.5 million people, putting it in the top five of the world’s largest workforces NHS England shares out more than £100 billion in funds and holds organisations to account for spending this money effectively for patients and efficiently for the tax payer. It strongly believes in health and high-quality care for all, now and for future generations.